My Own Dot Com: No More Service Tax for Credit Cards? Seperti kebiasaan, sebelum mula bekerja saya akan baca online news dahulu. Tajuk berita dibawah memberi sedikit kelegaan di saat segalanya nampak sempit akibat GST. Saya bayar RM 125 setahun untuk service tax. Seingat saya, tax ini was implemented sebab untuk elak golongan muda punyai terlalu banyak kad kredit dan sekaligus menyebabkan mereka ini semua mempunyai banyak hutang. Mungkin dengan syarat bank negara yang ketat membolehkan kerajaan mengawal sedikit nafsu boros kad kredit oleh pengguna muda. Walaupun service tax tiada, namun GST akan tetap dikenakan kepada annual fee kad kredit, cuma menariknya, semua kad kredit saya tidak mempunyai annual fee. PETALING JAYA: Credit card holders will have to pay the 6% Goods and Services Tax (GST) on the card’s annual fee, but the RM50 service tax will be dropped. “Some banks may however waive the annual fee upon request. “Then in such cases, there will be no GST payable,” said Association of Banks in Malaysia executive director Chuah Mei Lin (pic). 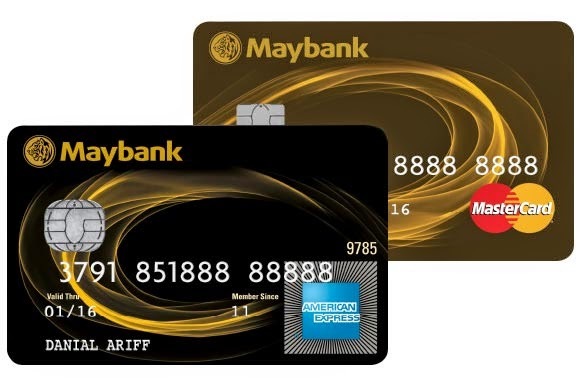 Banking sources explained that the GST on the annual fee might vary from RM53 to RM500, depending on the type of card. They said that cardholders could use their loyalty points or rebates to offset the 6% tax. Chuah said the implementation of GST would also mean that the RM50 Government service tax on the principal cardholder and RM25 on each supplementary card, which has been imposed since Jan 1, 2010, would be abolished. Chuah also made it clear that GST would not be imposed on late payment charges and finance charges. “Late payment charge refers to the charge when the cardholder fails to pay at least the minimum monthly payment by the due date,” she said. Finance charges, she said, were charges imposed on the cardholder on the outstanding balance which has not been settled on or before the payment due date. Chuah also dismissed talk that cardholders would have to pay GST each time their card was swiped. “GST is not chargeable when swiping a credit card to make payment. “If you choose to pay for the bill using your credit/debit card, you will not be charged a further 6% on top of the RM53,” she said. Customs Department GST director Datuk Subromaniam Tholasy said the abolition of the RM50 service tax would benefit cardholders as they would now only have to pay the 6% on the annual fee.